A highly enjoyable evening and all involved should be congratulated on their fine achievement. The swinging 60s saw the beginning of the sexual revolution, drugs, The Beatles, Carnaby Street and a youth culture that was establishing itself in the emerging British teenage society, but for some girls their sexual naivety “got them into trouble”. 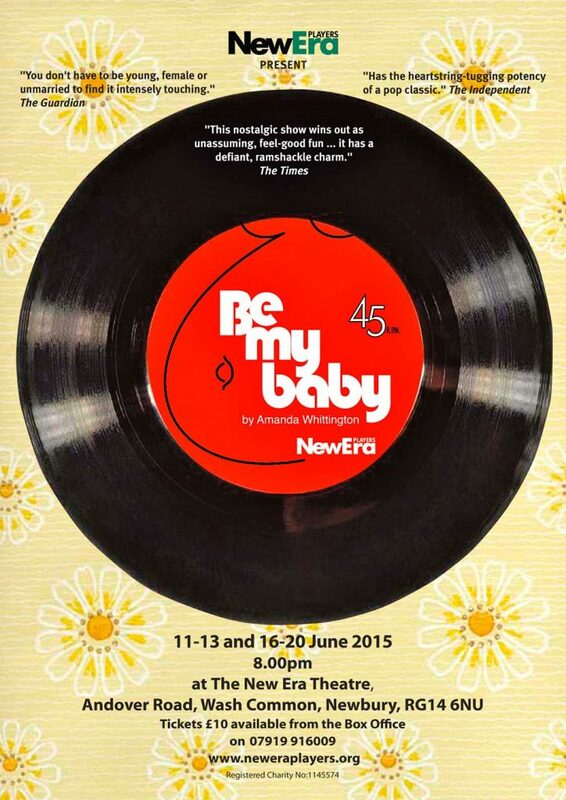 Amanda Whittington’s Be My Baby, impressively performed by New Era Players, explores the social stigma and plight that these young fallen girls experienced in Manchester in 1964. 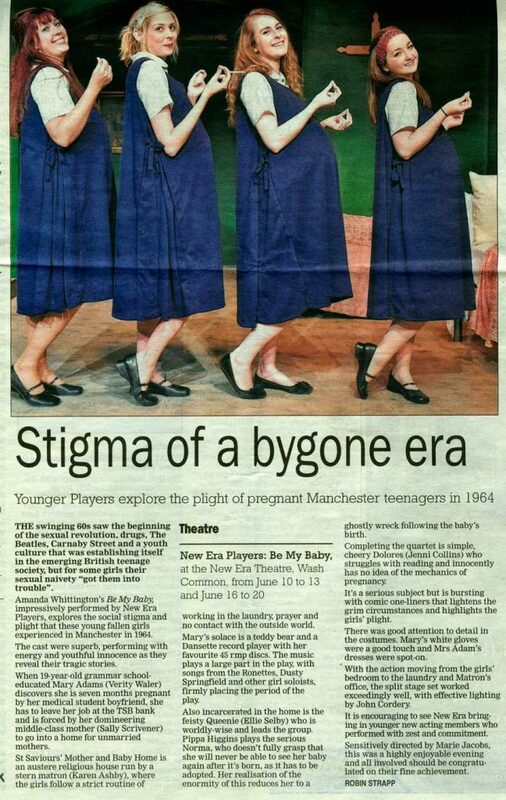 The cast were superb, performing with energy and youthful innocence as they reveal their tragic stories. 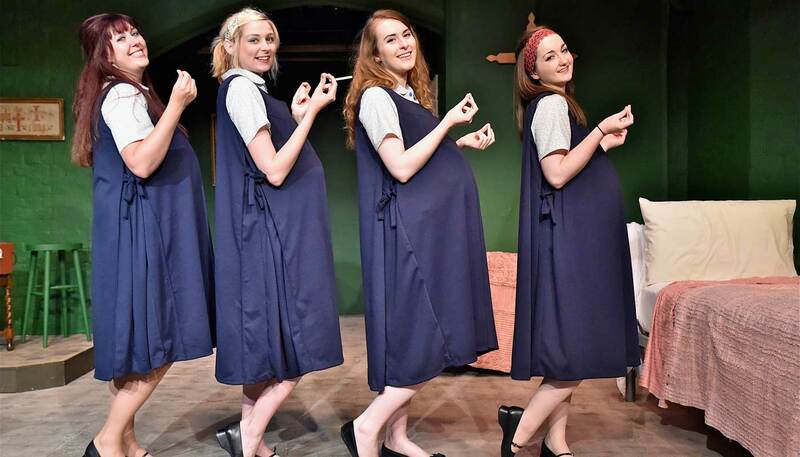 When 19-year-old grammar school educated Mary Adams (Verity Walker) discovers she is seven months pregnant by her medical student boyfriend, she has to leave her job at the TSB bank and is forced by her domineering middle-class mother (Sally Scrivener) to go into a home for unmarried mothers. St Saviours’ Mother and Baby Home is an austere religious house run by a stern matron (Karen Ashby), where the girls follow a strict routine of working in the laundry prayer and no contact with the outside world. Mary’s solace is a teddy bear and a Dansette record player with her favourite 45 rpm discs. 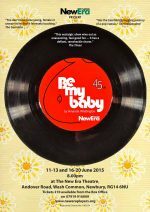 The music plays a large part in the play, with songs from the Ronettes, Dusty Springfield and other girl soloists, firmly placing the period of the play. Also incarcerated in the home is the feisty Queenie (Ellie Selby) who is worldly-wise and leads the group. Pippa Higgins plays the serious Norma, who doesn’t fully grasp that she will never be able to see her baby again after it’s born, as it has to be adopted. Her realisation of the enormity of this reduces her to a ghostly wreck following the baby’s birth. Completing the quartet is simple, cheery Dolores (Jenni Collins) who struggles with reading and innocently has no idea of the mechanics of pregnancy. It’s a serious subject but is bursting with comic one-liners that lightens the grim circumstances and highlights the girls’ plight. There was good attention to detail in the costumes. Mary’s white gloves were a good touch and Mrs Adams’ dresses were spot-on. 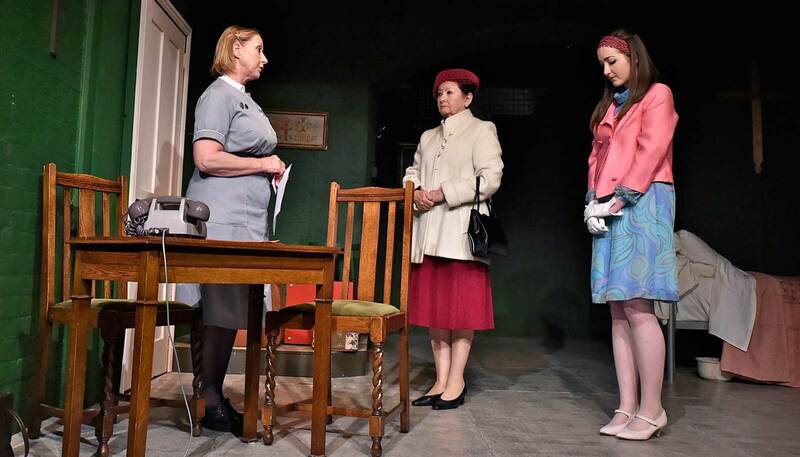 With the action moving from the girls’ bedroom to the laundry and Matron’s office, the split stage set worked exceedingly well, with effective lighting by John Cordery. It is encouraging to see New Era bringing in younger new acting members who performed with zest and commitment. 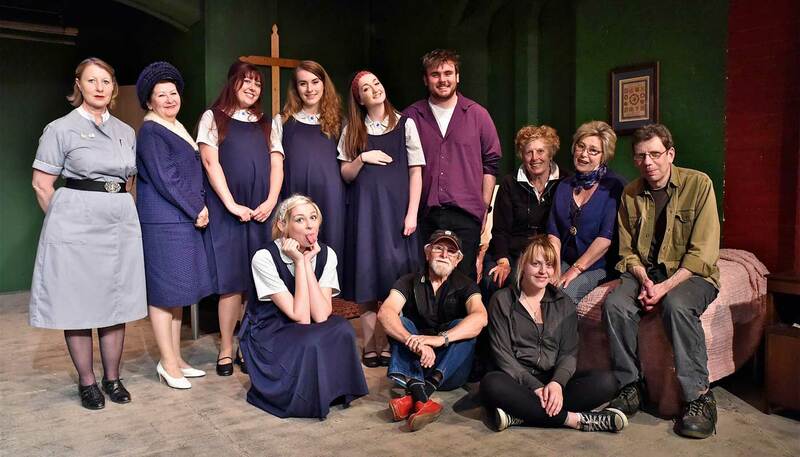 Sensitively directed by Marie Jacobs, this was a highly enjoyable evening and all involved should be congratulated on their fine achievement. 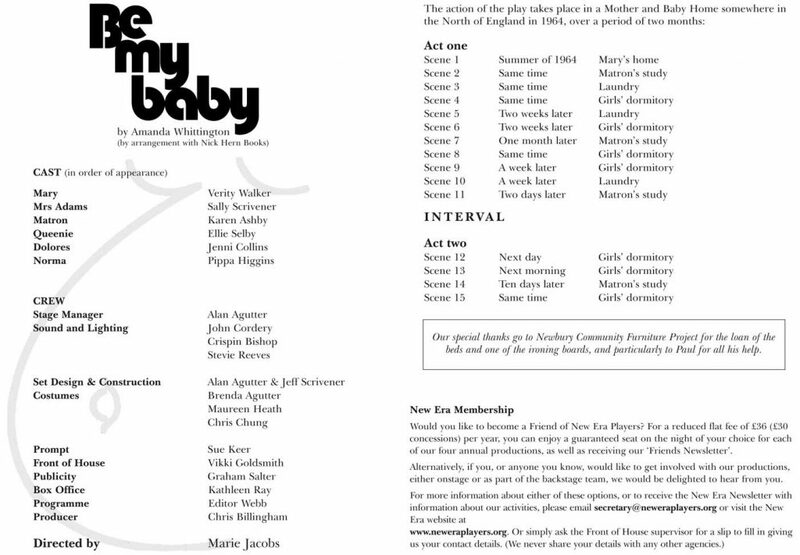 The play is set in a mother and baby home in the north of England in 1964, covering a period of over 2 months. 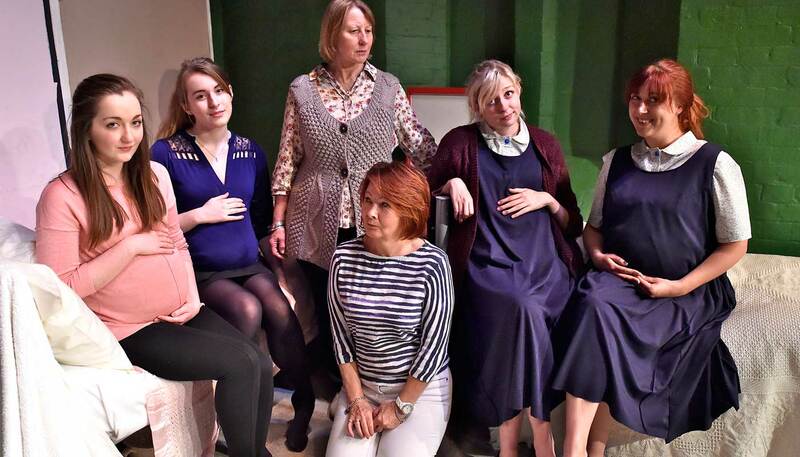 It follows the progress of Mary who is pregnant and unmarried (a dreadful thing to be in 1964). It is a story of hope and survival in the face of the terrible shame girls like Mary endured in the not so distant past. 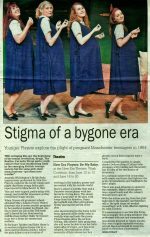 The play is interesting and thought provoking and an indictment of the attitudes prevailing at the time towards these girls and shows what little choice they had in dealing with the problem of their futures.